Argyle Muse and Argyle Alpha. Photo by Rio Tinto. Rio Tinto, (NYSE:RIO) the world’s No.2 miner, announced today that it delivered record results at its 2018 Argyle Pink Diamonds Tender, which included 63 rare pink, red and violet diamonds from its Argyle mine in Australia. The mine is the biggest diamond operation Down Under, and the source of rare and prized fancy pink gems. Argyle has been active since 1983, first as an open pit mine and then from 2013 as an underground operation, producing more than 95% of Australia’s diamonds. The mine, however, is set to close in 2020. The most recent results, Rio says, are a reflection of Argyle approaching the end of its mine life because the supply of such extremely rare diamonds is becoming scarcer. When it comes to value, the 2018 collection of the finest pink, red and violet diamonds from the iconic Western Australian mine continued its trajectory of double-digit price growth. Sold to an undisclosed buyer, Lot Number 1, the Argyle Muse, a 2.28-carat fancy purplish red diamond was the most valuable diamond in the Tender’s 34-year history. Lot 2, the 3.14-carat Argyle Alpha, was won by Singapore-based Argyle Pink Diamonds partner Glajz THG and, being the largest and most valuable vivid pink diamond in the history of the Argyle Pink Diamonds Tender, it also broke a price record. Over the past 18 years, the value of Argyle pink diamonds sold at Tender has appreciated over 400%, outperforming all major equity markets. 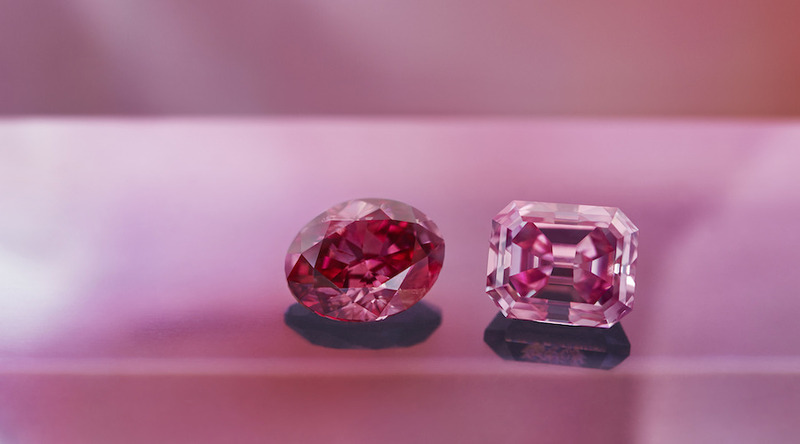 “The 2018 Argyle Pink Diamonds Tender was highly sought after with record results that underscore the value of these gems in the history of rare coloured diamonds,” said Rio Tinto's Copper & Diamonds Chief Executive, Arnaud Soirat, in a media statement.